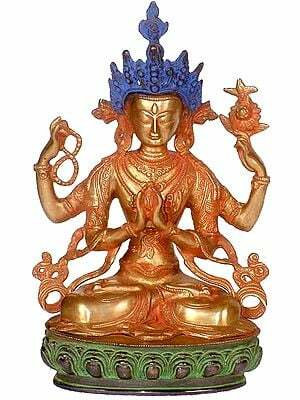 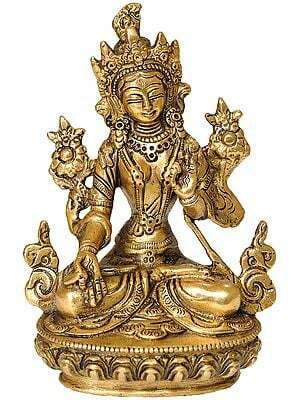 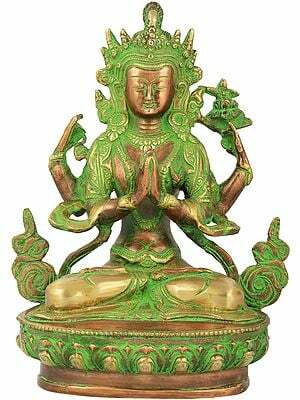 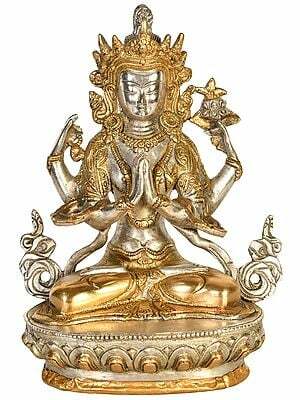 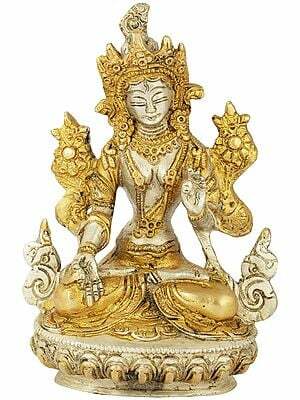 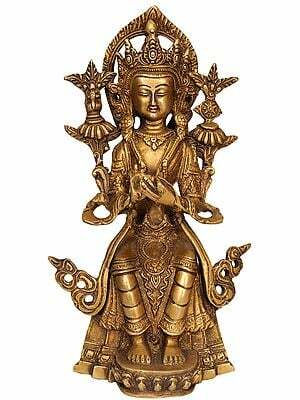 13.0" X 9.0" X 5.0"
Bodhisattvas are ‘beings destined for Awakening’, preparing, through their merits and their virtues, to become Buddhas. 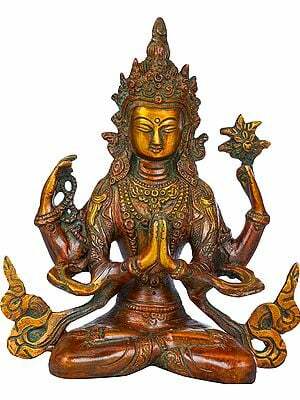 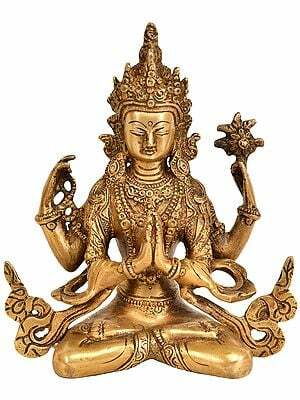 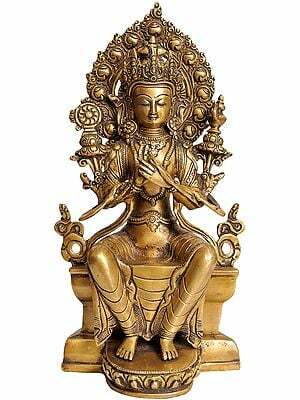 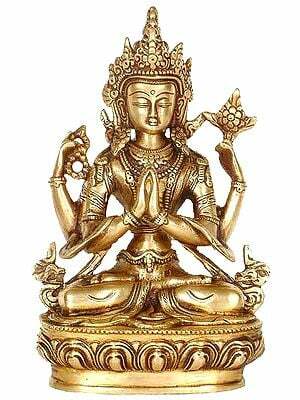 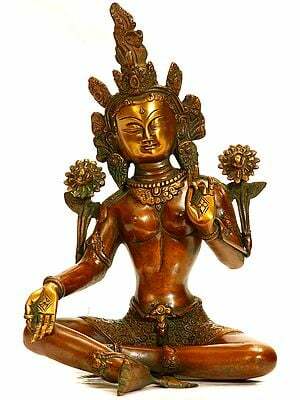 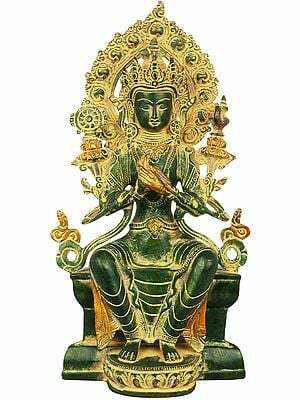 For most of the followers of Mahayana Buddhism, the Bodhisattvas represent intermediaries between the inaccessible, unimaginable and indescribable Buddha (conceived as a supreme deity, Vairocana or Adi Buddha, and the beings living on this earth of impermanence and imperfection. 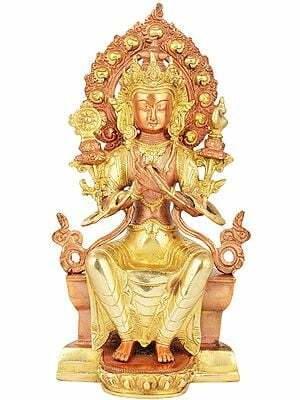 They are the divine intercessors, the ‘heroes of charity and sacrifice’,’ endowed with all virtues and qualities, possessing all strengths and an unshakable resolution In the accomplishment of their vows. 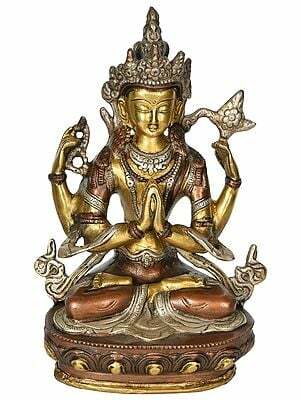 They are perfect models, dear to the hearts of the faithful, because, endowed with tenderness and sensitivity, they are closer to them. 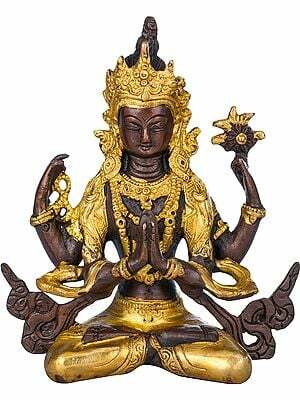 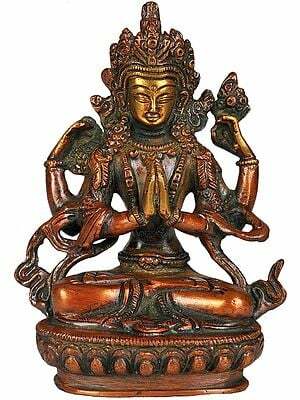 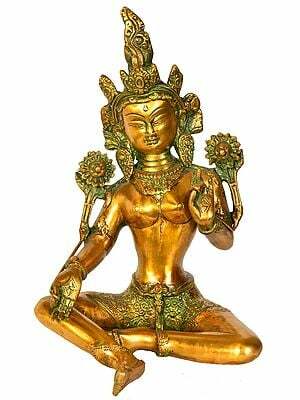 Devoted to the salvation of the suffering world, they do not enter final Nirvana — which is why they are not normally represented in Samadhi (meditative concentration) with the hands in Dhyana mudra, but in more dynamic postures. They are eminently active beings: they have taken the ‘vow to experience all torments in the place of living beings. 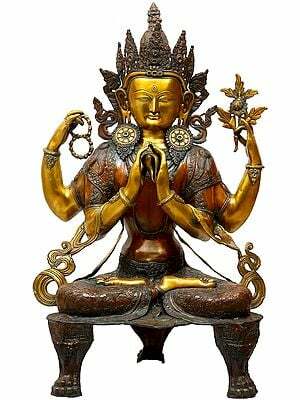 Thus their appeal is immense throughout the world of Mahayana Buddhism, and the number of their representations is considerable. 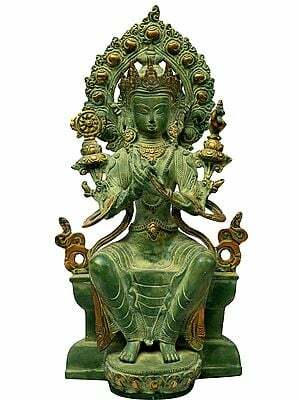 They are assigned many names which reflect the qualities or activities attributed to them, because a number of these Bodhisattvas are worshipped according to their attributes. 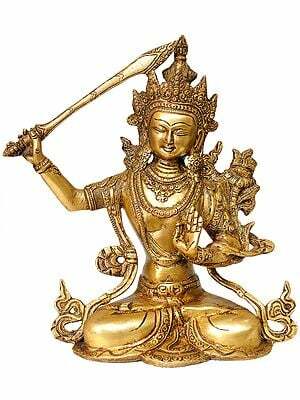 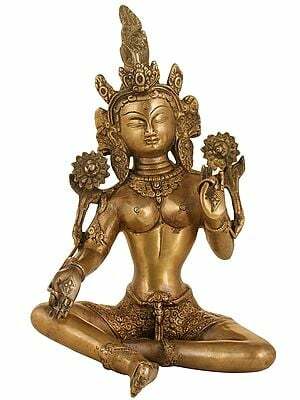 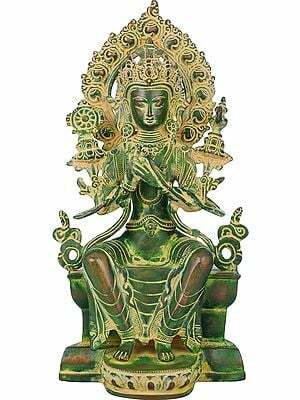 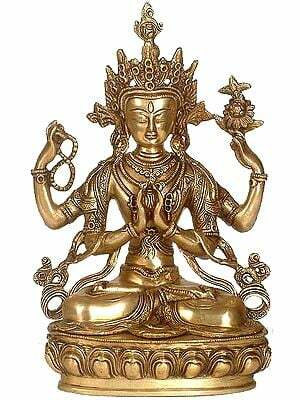 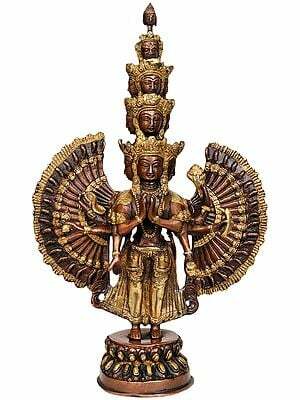 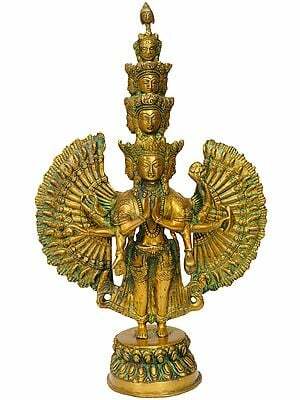 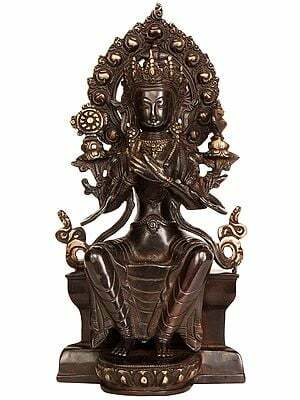 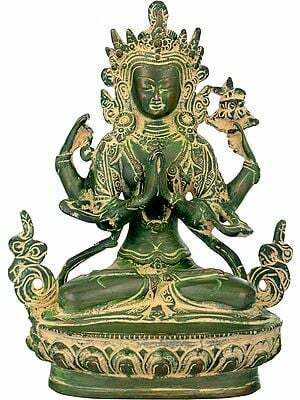 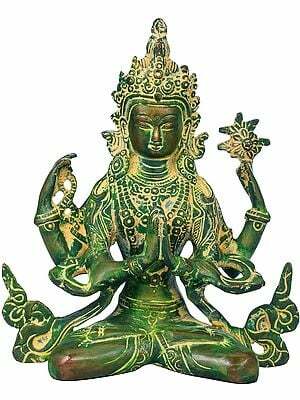 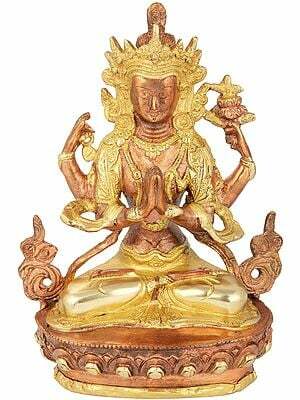 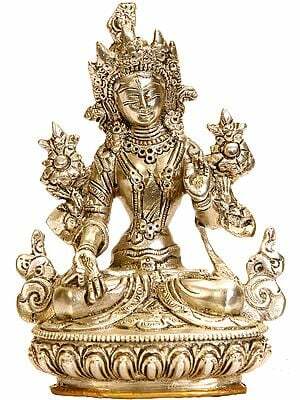 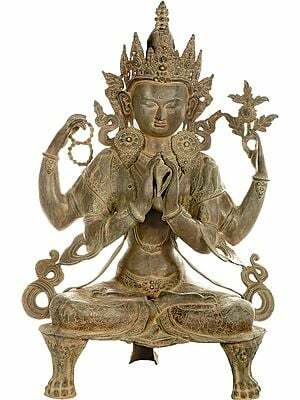 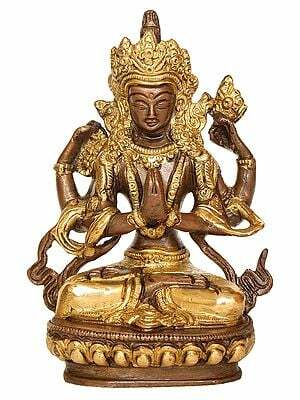 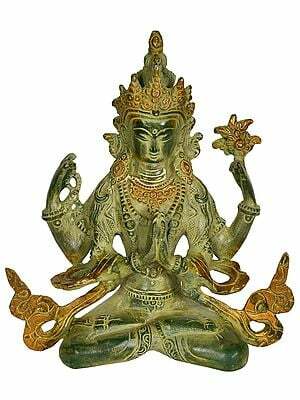 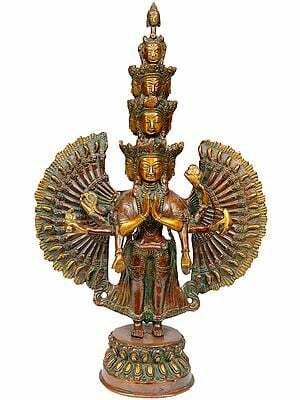 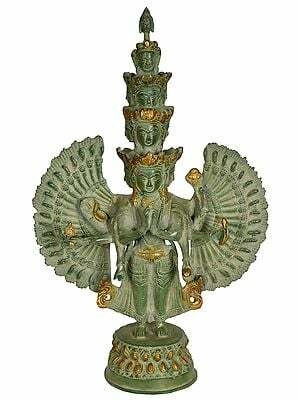 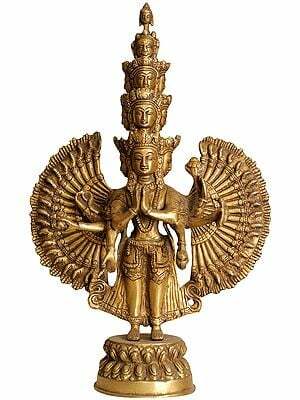 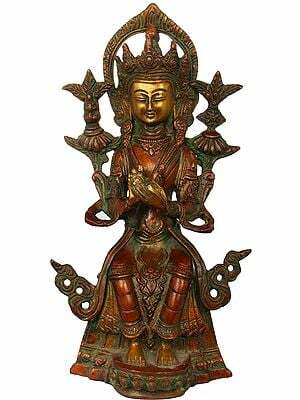 The Bodhisattvas are always represented clothed as princes and adorned with thirteen ornaments including a crown with five gems, earrings, a necklace, armlets, bracelets, anklets, long necklaces, scarves and a belt. 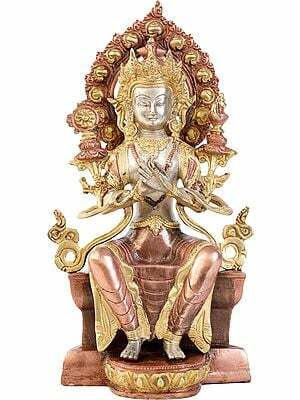 Their crowns may bear the effigy of their ‘spiritual father’, one of the five Dhyani Buddhas. 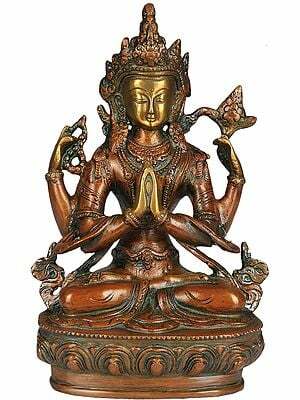 Their hair is tied in a high chignon and they have an urna on the forehead. 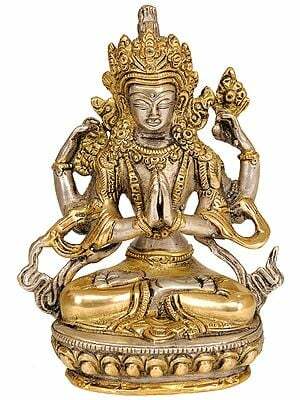 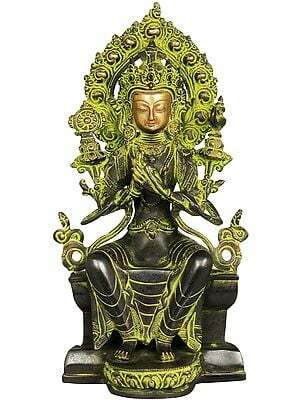 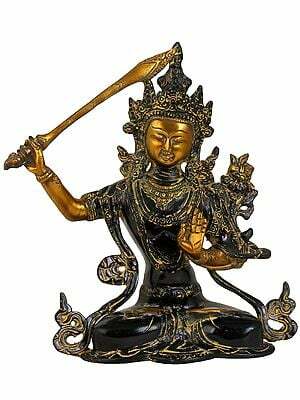 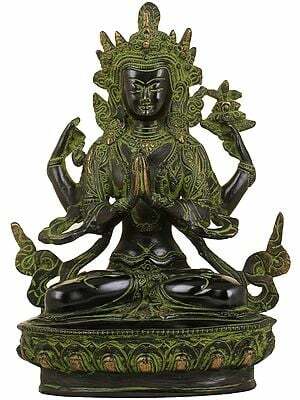 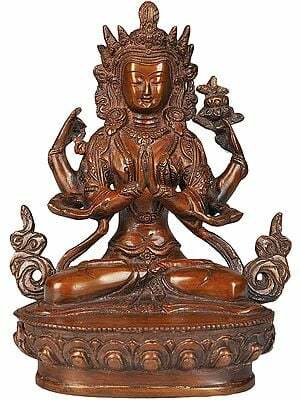 They are usually represented standing when worshipped alone, and seated when accompanied by a Dhyani Buddha. 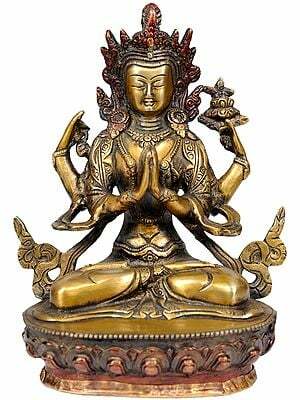 The sects of Tibetan Buddhism in Tibet and Nepal usually represent five Bodhisattvas — Avalokiteshvara, Manjushri, Maitreya, Vajrapani and Bhaishajyaguru.